Physical Fusion UV Defense SPF 50 provides high broad-spectrum UVA/UVB protection with all natural physical filters, Zinc Oxide (Z-COTE) and Titanium Dioxide. 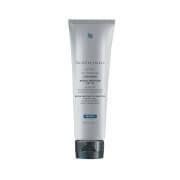 Providing substantial power in an ultra-sheer, mattifying fluid, this sunscreen is infused with translucent color spheres to enhance natural skin tone. Tested on all ethnicities, this adaptable fluid provides discreet coverage while restoring radiance. Paraben-free and safe for even very sensitive skin, the photo protection in this formula is boosted with Artemia Salina, a plankton extract which helps build skin’s natural defense and resistance to UV and heat stress. Protects skin against collagen damage. Formula is non-comedogenic and sweat/water resistant. Has a sheer and weightless texture. Enhances natural skin tone and boosts radiance. Shake well before use. Apply daily to face, neck, and chest before makeup. Reapply every two hours and after swimming, excessive perspiring, or after towel drying. For children under six months of age, consult a physician before use. Active Ingredients: Titanium Dioxide 6%, Zinc Oxide 4.9%. Other Ingredients: Water, Dimethicone, Isododecane, C12-15 Alkyl Benzoate, Undecane, Triethylhexanoin, Isohexadecane, Nylon-12, Caprylyl Methicone, Butyloctyl Salicylate, Phenethyl Benzoate, Styrene/Acrylates Copolymer, Silica, Tridecane, Dicaprylyl Carbonate, Dicaprylyl Ether, Talc, Dimethicone/Peg-10/15 Crosspolymer, Aluminum Stearate, Pentylene Glycol, Peg-9 Polydimethylsiloxyethyl Dimethicone, Alumina, Polyhydroxystearic Acid, Phenoxyethanol, Magnesium Sulfate, Caprylyl Glycol, Iron Oxides, Peg-8 Laurate, Disteardimonium Hectorite, Triethoxycaprylylsilane, Tocopherol, Propylene Carbonate, Artemia Extract, Benzoic Acid, C9-15 Fluoroa. I have very fair skin, and this seems to blend beautifully and just make me look like I have nice, even coloring. I'm uncertain how it would look on people with darker skintones, but it makes me look very fresh. The consistency is more watery than other sunscreens I've used, so it is easy to spread. I feel a little dry afterwards, but have only used it in the winter, I suspect in the summer it would feel perfect. My friend recommended this sunscreen and I can’t believe I doubted her and didn’t order it immediately. I love this product! It’s a bit liquid-y but it goes on your face smooth and not heavy. It’s also got a slight tint which is perfect. I don’t wear makeup. I use some moisturizer, then apply this sunscreen after a few minutes. Then primer. Then some foundation and powder. That’s it. Highly recommend. I used this product all summer after facial basal cancer removal. Non irritating, smooth, light weight, I layer this sunscreen under foundation or use some dusting powder alone. It is matte, yet somehow iridescent and pore minimizing. I have had no sun related skin redness or inflammation. I am blonde and light skinned, this zinc oxide works for me......even though they claim it works for all skin tones, Im not sure.......maybe try it on the 'high burn areas' like nose, chest and see. This sunscreen has diminished most my need for any other foundation, even though it isn't heavy in the slightest. All I do is put a light dusting of my Jane Iredale mineral powder over the top and I am set. It feels like velvet, and leaves my skin with a dewy, youthful glow. 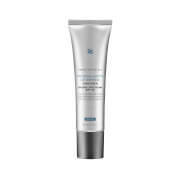 It provides such strong protection, and my face looks clearer and more balances already. I love it and have already bought another to stock up! This glides on like a dream. No white marks at all. The natural tint means I can actually go without foundation too if I want, even though it's nice and subtle. It makes you skin feel genuinely velvety soft. I've noticed an improvement in my complexion from the sun protection, even only after two weeks use. I love this and will continue to buy it. Highly recommended. I love this product! I have problem skin my pores clog easily and have break outs. I have had no problem using this on the face does not clog and I have had no break outs from it! I use this sunscreen as a combined sunscreen and foundation. I have found that it works well, does not get in my eyes, and once dry is weightless. This sunscreen is so lightweight, I hardly feel I have anything on. The texture is silky smooth and goes on easily. In the summer, I use this alone, but in the winter when my skin is more dry, I apply a light moisturizer before the sunscreen. I am fair and the tint works perfectly for my skin tone. Most days I wear this and skip foundation. Another bonus, it doesn't sting my eyes if i get sweaty. I never got this and finally tried with a free sample and This just makes your skin look better, not shiny. I am not buying anything else.I have VERY oily breakout prone skin and this just makes me look more even and less splotchy. Love it. I have been using this product for a couple years and I really like it. It is a nonchemical sunscreen and it is very easy to apply, it makes my skin look smooth with just a hint of color, and it is not at all greasy.